[prMac.com] Albuquerque, NM - Big Stone Phone is happy to announce immediate and free availability of an update to its popular program TalkingPics v1.2 - the audio recorder/picture taking field data gathering tool. 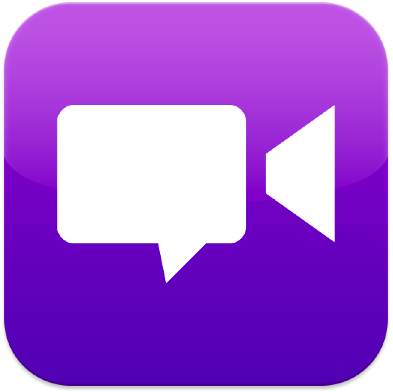 "TalkingPics users wanted two features: the ability to download files to Windows as well as the Mac and the ability to record audio in a highly compressed format that would allow for lengthy recordings. We listened, and we have delivered! " said TalkingPics Project Leader Jeff Biggus of Big Stone Phone. TalkingPics v1.2 features the ability to upload audio and images to the desktop via Safari on Windows or the Mac. Users of other browsers can install Apple's free Bonjour plugin to allow them to download files right through the browser. Additionally, Mac Users can automate the process with an Applescript produced by TalkingPics. This version can handle audio files of any size, including extremely large ones. Upload speed has been drastically improved as well. This version adds a new preference to choose either the ultra high quality lossless format (which is great for music, but creates large file sizes) or the WAV compressed format (which is good for voice and where small file size is the most important consideration). Another advantage of the WAV format is that it can be used on the web without further processing. Additionally this version has an option to use the full size image (1200 by 1600 dpi) and more than doubles the default size image (600 by 800). Speed to take snapshots has also been dramatically improved. TalkingPics is available for download and use today directly from your iPhone or computer from the App Store. Stone Design is a New Mexico based software corporation founded in 1984 by Andrew Stone which has shipped over 20 titles for Mac OS X and its parent operating system, the NeXT in the last 20 years. Major applications include Create, a page layout and web authoring app, iMaginator for image processing and Videator for video effects and VJ'ing. This year, in conjunction with BigStonePhone, has added 5 iPhone applications to the collection: TalkingPics for field photography and audio recording, iGraffiti which lets you paint on photos and share them, Gesture which lets you turn photos into digital paintings and share them, and Twittelator Lite. BigStonePhone is a collaboration between Stone, Jeff BIggus of Hyperjeff and artist and UI designer Ollie Wagner.